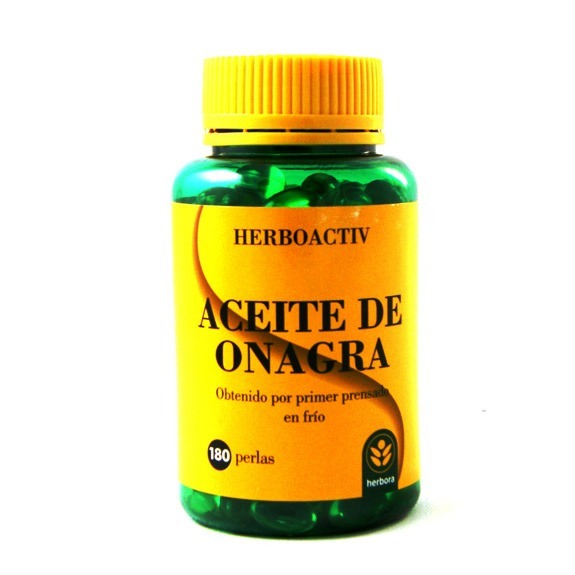 Traditional use: dietary supplement which helps improve hormonal disorders of women. It also has a beneficial effect on the skin by its antioxidant effect and rejuvenecedor.__Se obtained through first cold pressing, which guarantees its quality and efectividad.__composicion: evening primrose oil, vitamin E.__Modo of employment: take 6 beads per day (2 before breakfast, lunch and dinner). __Para premenstrual syndrome, it is advisable to take 7 to 10 days before the start of the period. At least 6 Pearl a day, preferably before meals.